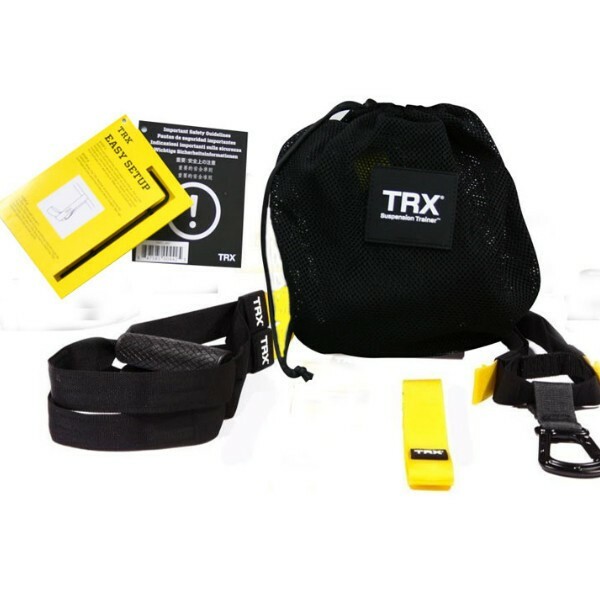 TRX® Suspension Training Pro Club Pack 4: Club Pack 4 suspension trainers with locking carabiner and xtenders. Features equalizer loop, locking loop, barrel lock adjusters, padded triangles, antimicrobial handles and adjustable foot cradles. Allen wrench included and Get Started insert. Workout anywhere—home or outdoors—with these included anchors and accessories.